The word recusant was originally used to describe those Catholics whose names were entered on registers because of their refusal to attend Anglican services during the reign of Elizabeth I, but the term “recusant writings” covers writing by Catholics, whether open or covert. For more than a hundred years after the accession of Elizabeth in 1588, the publication of Catholic books was prohibited by law. 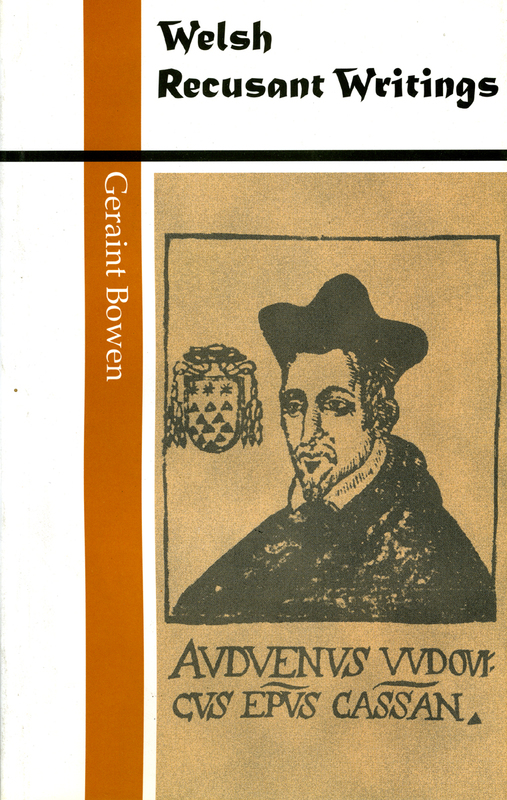 Geraint Bowen’s book is the first to be published on writing by Welsh recusants. Welsh recusant writing, published abroad, on secret presses at home, or, as was often the case, remaining in manuscript, was not confined to works of Catholic devotion and dogma. The Tudor period witnessed important and far-reaching developments in Welsh scholarship and literature, and the first contributions to this development were made by exiled Catholics. The enforced residence abroad, particularly in Italy, of men like Morys Clynnog, Gruffydd Robert, Sion Dafydd Rhys and Owen Lewis gave them access to Renaissance learning and to the knowledge and enthusiasm of its most notable exponents. The humanist belief that the vernacular could be elevated to the status and dignity of the classical languages led the exiles to attempt to achieve that standing for the Welsh Language.